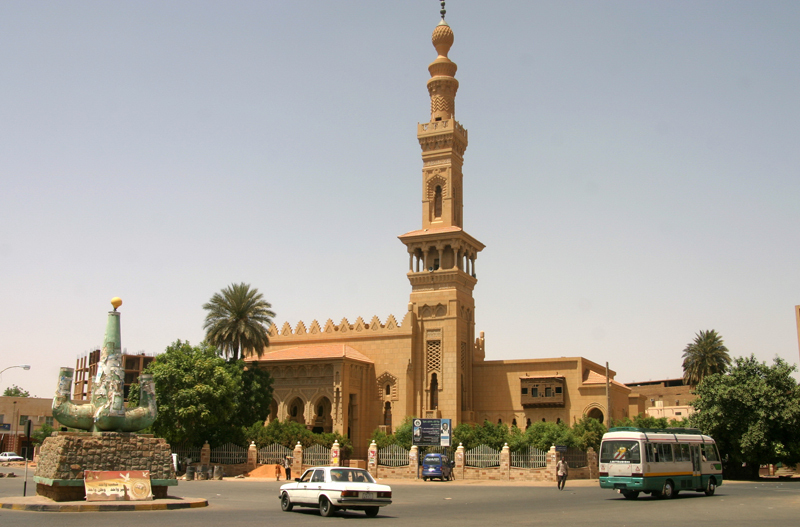 Khartoum is the capital of Sudan and of the Khartoum State. It is located at the confluence of the White Nile flowing north from Lake Victoria in Uganda and the Blue Nile flowing west from Ethiopia. The location where the two Niles meet is known as “al-Mogran”, meaning the Confluence. The main Nile continues to flow north towards Egypt and the Mediterranean Sea. 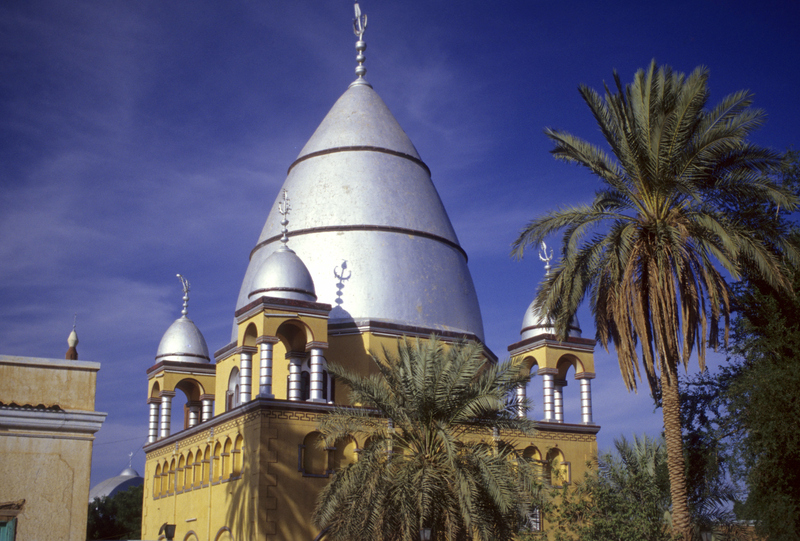 Divided by the Niles, Khartoum is a tripartite metropolis with an estimated overall population of over five million people consisting of Khartoum and linked by bridges to Khartoum North and Omdurman to the west. The origin of the word is uncertain. 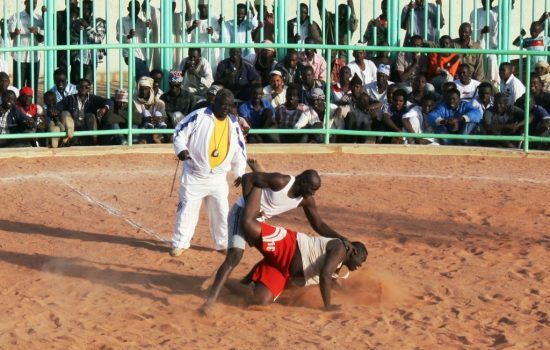 One tradition is that Khartoum derives from Arabic kart?m meaning the elephant’s trunk, probably referring to the narrow strip of land extending between the Blue and White Niles. J. A. Grant, who reached Khartoum in 1863 with Captain Speke’s expedition, thought that the derivation was most probably from the Arabic “qurtum”, safflower (Carthamus tinctorius), which was cultivated extensively in Egypt for its oil and used in burning. 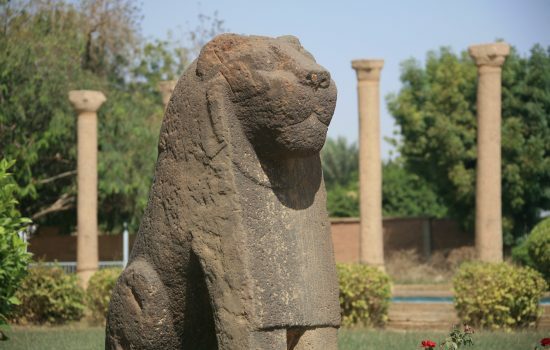 Khartoum was established 24 km north of the ancient city of Soba in 1821 by Ibrahim Pasha, the son of Egypt’s ruler, Muhammad Ali Pasha, who had just incorporated Sudan into his realm. Originally, Khartoum served as outpost for the Egyptian Army, but the settlement grew quickly as a regional center of trade. It also became a focal point for the trading in slaves. 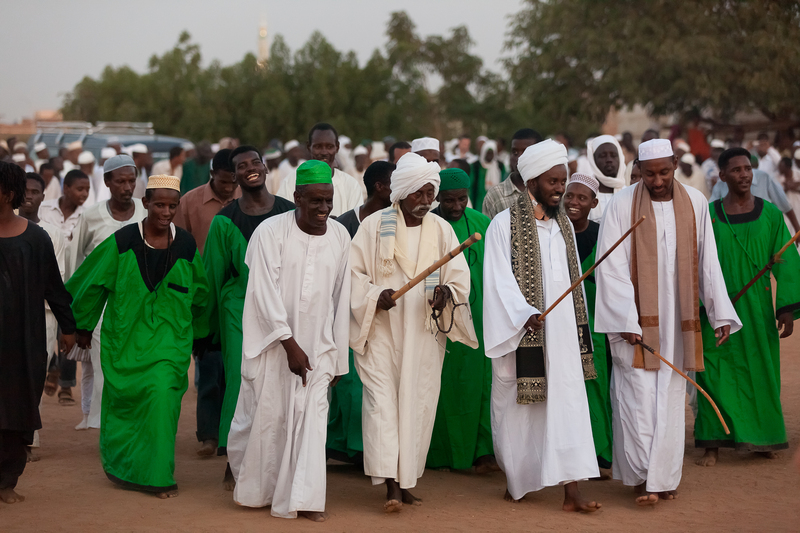 It became the administrative center for Sudan, and later the official capital. Troops loyal to the local leader and hero: Mahdi Muhammad Ahmad began a siege of Khartoum on 13 March 1884 against the defenders led by British General Charles George Gordon. The siege ended in a massacre of the Anglo-Egyptian garrison. The heavily damaged city fell to the Mahdists on 26 January 1885, and all its inhabitants were put to death. 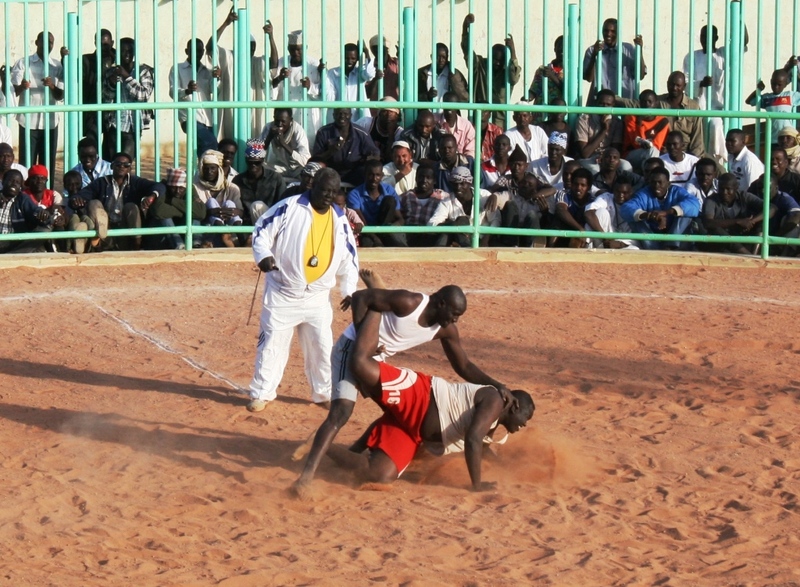 Omdurman was the scene of the bloody battle on 2 September 1898, during which British forces under Herbert Kitchener defeated the Mahdist forces defending the city. In 1899, Khartoum became the capital of Anglo-Egyptian Sudan. Several explanations have been offered for the design of the new, Anglo-Egyptian Khartoum. One is that Kitchener laid out the city’s streets in a Union flag pattern as a symbol of British dominance. Another is that the grid system and diagonal streets of the city were designed to converge in a way that would allow machine-guns to sweep the town. However, there is no contemporary evidence to support either of these suggestions. 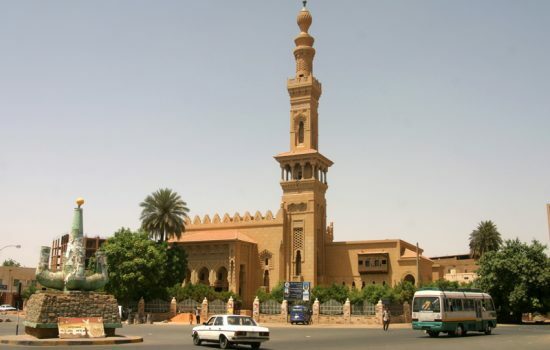 In modern days Khartoum is a busy city, a mixture of humanity, typical African markets and new high-rise skyscrapers.